The Photon WaterFed® Cart is Triple Crown's lowest costing and lightest pure water system. Weighing 18lbs., the system produces 3 gallons of purified water per minute. The cost of a gallon of purified water is $0.235. This cost reflects how often your filters will need to be changed based on the number of gallons produced. The filter system for the Photon is DI only, allowing it to work quickly to deliver pure water. 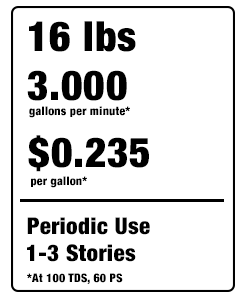 As a result, there is a higher cost per gallon than multi-stage. 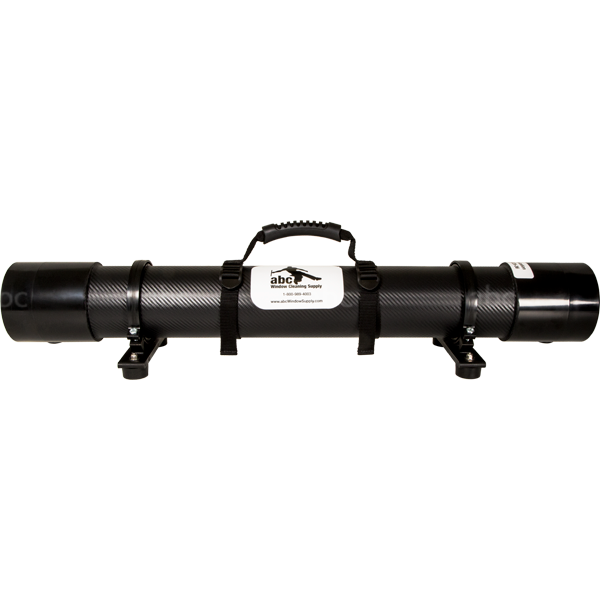 This WFP System is an ideal solution for window cleaning professionals entering into pure water window cleaning. This DI only system is perfect for one person. It is best for infrequent use cleaning 1-3 stories without needing a pump, or for areas with very low TDS. However, adding a pump gives the cart additional power. Triple Crown systems are top quality and sold manufacturer direct, saving you money! abc stocks and supports all parts. Easiest To Transport. 16 pounds! All Parts Stocked And Supported By abc! Seems like a good alternative to the larger scale pure water systems, but too expensive for what you get; (a single filter), especially considering the shipping costs which added another 50% ($100) to the price - ridiculous! Works very well, light weight and easy to use, great for anyone who is just starting out!